The travel bloggers must be based in Australian but not necessarily Australian. Some people have been taken off the list because they’ve moved away from Australia to New York, China or even England (crazy people). They must be personal travel blogs so no offence but the Bootsnall blog got the boot. You need to be an active travel blogger – one or two Australian travel bloggers may have even stopped blogging or haven’t updated their blogs for ages so I took them off the list. However, many new travel blogs (or new to me) have been added so the list has grown to 43 and is now in alphabetical order just to emphasise they’re not listed from best to worst. The Australian travel bloggers list is a work in motion because these travel bloggers are slippery fish and, in some cases, it was hard to tell exactly where the travel blogger lived. If anywhere, because that’s what traveler bloggers are like. This travel blog is an amalgamation of travel information and personal narrative by a Canadian based in Melbourne. Not by Betty but by Ashlee, an Australian travel blogger obsessed with travel, food and photography. A new blog by Danielle who’s based in Cairns and focusses on families travelling with a baby or small child. The blog highlights North Queensland, travel health, and travel tips. A daily photo blog about life in Northern New South Wales, Australia. Ben Alcock lives in rural New South Wales, not too far from me in South East Queensland. He’s a traveller, story-teller, problem solver, game show contestant and dad. A Sydney travel blog written by expats from Seattle. Photo rich travel blog about Western Australia. An incredible traveling family of seven. Hiking in Heels is about the adventures of Leah, an American girl living, working and travelling in Australia who blogs about fashion, travel, and culture. Nikki’s travel blog is a guide to house-sitting and a story of adventures on a budget. Can’t find out much about this travel blog but it looks interesting and hopefully the blogger is in Australia. A travel blog dedicated to showing the world the beauty of Perth, Western Australia by one of life’s optimists, Gracie. Fun Australian travel blog name by a couple who are currently travelling Australia. Emma started her publishing career at the tender age of six, writing letters to the fairies that lived in the garden beside her Dad’s shed. And now she blogs about travel and other loves. Joan shares photos about travels a day or two beyond the beautiful Blue Mountains in New South Wales where she lives and sometimes ventures further into the vast and beautiful land of Australia. Heaps of photos every day. A food and travel blog by Barbara, a career girl who dropped out, moved to Asia, found love and had a deliciously funny baby. Nikki is exploring Australia on her beautiful yellow Honda on a journey through fascinating Australia. Well traveled Alyson and family live in Post Douglas, Tropical North Queensland and blog about Australia and their overseas travels. 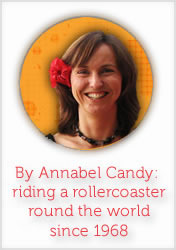 Annabel Candy: web designer, shameless middle-aged bikini wearer and part-time poser. Me – Annabel Candy, proud holder of British and New Zealand passports, Australian resident living in Noosa, Queensland and travel blogger since 2009. Want more? Add Get In the Hot Spot to your RSS feed or subscribe by email then join me on Twitter, Facebook and Instagram. Thank you. Please leave a comment if I missed your travel blog and you live in Australia, or if you know a travel blogger who lives in Australia and isn’t listed. And of course if you like the Australian Travel Blogs and Bloggers to Watch in 2013 list share it on Twitter and Facebook. Thank you. Which are your favorites Australian travel blogs or bloggers and who’s missing? Usually I have a no links in the comments rule but let’s break the rules here – feel free to leave links, even if they’re to your own travel blog but only if you live in Australia. Otherwise we’ll be here forever. Thank you: Linda at Journey Jottings for sharing your gorgeous map. Thank you so much for including me on this list with such other fabulous bloggers. =) xox. Hi Annabel – your list last year was essential reading when we were preparing to launch Every Daydream Holiday. So if you’re looking for #44, we humbly submit the recently launched http://www.everydaydreamholiday.com – run by two Aussies who met in London and dream of a holiday that never ends. Thanks for the addition, and the pic! Thanks so much for including me, Annabel! I’m so chuffed :) Amazing how the travel blogging scene has proliferated since last year. It was great to meet you in real person in Melbourne this year, and thanks for having me as your ‘roomie’ for the ProBlogger event. I can’t wait to see what 2013 holds for the Aussie blogosphere, and I’m all out blogging about Western Australia next year, with a bit of inspiration thrown in – thanks to you! Agree and love most of these! Have you ever seen http://www.youbloodytourist.com? I really like the more personal touch there. He’s a Brit (I think) studying in Aus and travelling round it too. Thanks for the suggestion, will be keeping an eye on it. A great list Annabel….yeah for Aussie travel bloggers! I’ll certainly be catching up on those that are new to me over the Christmas break. Thank you for including me amongst so many great blogs. 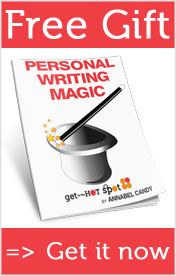 Annabel, thanks for including me on your list! As a newcomer to the travel blogging scene it is great for the work I have been doing to be recognised. I wanted to also say thank you for your A-Z blogging series which ran earlier this year – I really tried to put your information to use in my articles every week. Two key articles which really stick out in my memory which have significantly helped were your SEO and writing headlines articles. I also live in Brisbane like many of the other bloggers you mentioned so may be should try to catch up sometime. Thank you so much for including me on your list again!! I live in FEAR of dropping off … Over the Xmas break I look forward to checking out some great new reads!!! I’ve been a travel blogger for years, and an Aussie even longer. Hi Annabel, I don’t blog about Australia, most of my readers aren’t Australian, and I know I’m disadvantaged by living in Sydney, but frugalfirstclasstravel.com is all Australian! If I pretend I’m from Queensland will you put me on the list next year? Great list though – there are some fantastic blogs listed. You are in good company with plenty of Sydneysiders. Glad to have made it to the list! I’ll enjoy checking out all the others on the list. I live in Australia, but my blog is about all my travels…Australia and the rest of the world, mostly Italy, where we have a house. Do I qualify? I’m originally from Hornsby, moved to the UK about 6 years ago. Does that mak me an Aussie travel blogger??? No mate, you have to live here! Gosh, I’ve never been listed in anything before! Thanks so much Annabel, we should be starting our huge family travel adventure this year, so I’ll try to make us worthy of being ” one to watch”. My travel blog about our family holiday to Cuba via Paris. Still more to post giving tips to other travelers. Annabel, I’m honoured to be on your list for a second year! Thanks for including my blog and others I’ve yet to discover. Happy Holidays! I’ve been a professional travel writer for about 20 years, but I’m a newbie when it comes to blogging, having launched mine only about six months ago. I was thrilled that today Wordpress selected one of my posts (albeit not a travel one!) for Freshly Pressed…blogging is my new passion! Thanks for compiling the list – a lot there to spend time looking at over the Christmas break! If I can add mine to the list of potentials for next year – http://www.aglasshalf-full.com. I’m also Brisbane-based (moved back earlier this year after 7 years in Melbourne) but am also a proud holder of a New Zealand passport. Merry Christmas to you! Thanks for including me on the list Annabel, and am hoping to travel plenty in 2013. You’ve provided my holiday reading here!! Have a very jolly time over the next few days and hope you can take it easy. We MUST do a wee adventure just you and I and our two girls… a wee cruise??? I would love to be on your list one day. I have signed up for your blog and will check out the bloggers you have mentioned. I will also go back through your archives. Thank you for all your hard work. Hope to have my travel blog up and running by Feb 2013! Look forward to reading all of the above. Off to Melbourne, then Horsham for a week! Flat, hot, dry, did I say flat, hot and dry? It’s been 38 to 43 degrees most days this past week! Hi Annabel. Could you add my travel blog to your list? I’m a freelance travel writer based in Melbourne – I write for newspapers and magazines, along with Lonely Planet guidebooks. Fantastic list – thank you so much. I blog about food news, reviews and gourmet travel for Brisbane and beyond. Thanks for including me on your list, Annabel. Much appreciated! Thanks for mentioning me in a list of Australian Travel Blogs and Bloggers – again! ;P Would be good to meet up with the characters in this list! Hey Anna, I’m an Australian with a blog too! Anyhoo, my blog is The Bearded Wanderer (travel.willjackson.com.au). Thanks for publishing such a great list. I see some familiar faces including Johanna @ZigaZag, Jenny @atasteoftravel, and Amanda and Gray @TravelOutbackOz. Looks like Aussie travel bloggers are on the rise. I am an Aussie from Perth and I run a city guide called Perth Walkabout – An Insider’s Guide to Perth – where to go, what to do, and where to find it. We welcome guest posts from Aussie bloggers so if anyone is interested, feel free to send me a line through the contact form at Perth Walkabout. We would be happy to get the word out about your Aussie travel blog through a guest post. Got that, thanks for mentioning it! Annabel, great to see a list out there of Australian travel bloggers! Wow! I check my refers regularly and noticed quite a few coming through from your site. You have no idea how excited I was to see my blog, littlegreybox, appear on your site. I live in Brisbane, Australia and absolutely love to travel, write and experience new things. Thank you so much for including me on the list. 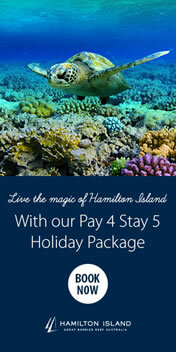 We left Australia in May 2012 and have been travelling non-stop for the last ten months with 2 kids – 2 & 4 yrs old. You can say we are still based in Australia as we have a home there and plan on coming back eventually, but for now it’s non-stop travel fun. My name is Erin and I run a travel blog TravelWithBender.com. Travel With Bender is a rapidly growing family travel blog focused on providing useful tips for families who travel with young children. While travelling with toddlers ourselves we are interested in presenting the best locations, attractions and costs of each place we visit. We target parents with small children & couples who are about to have children. Might I suggest grum and Kacy’s wgopn? My name is Chris, I’m in Australia and I run http://my30stravelblog.com. I hope you enjoy it enough to consider it for your 2014 update! Great list! Will need to check some of these finds out! Aw Rob! Sorry I will make sure you’re on the next one!! I would love to be considered if you update your blogs to watch article. I run a luxury travel blog – Based in Australia and write about Australia (and other destinations). Thanks for sharing this data of australian blogger. I am greatful to you.